The Index continues forming an ascending impulse inside the fifth wave. 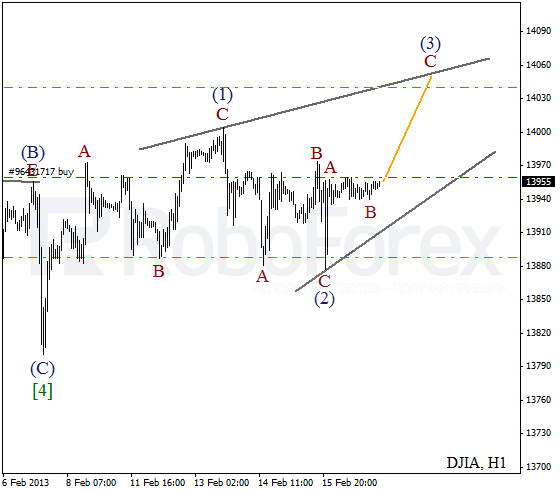 On the minor wave level the price is forming diagonal triangle pattern. We can’t exclude a possibility that in the nearest future the instrument may grow up a little bit, but later it is expected to make a reverse. At the H1 chart the instrument is still being corrected. 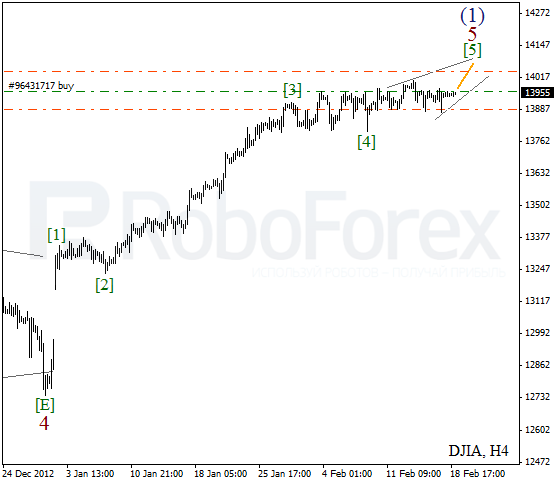 Earlier, after completing wave (2) in the form of zigzag pattern, the price formed an ascending wave A. In the nearest future the instrument may start moving upwards inside wave C of (3). 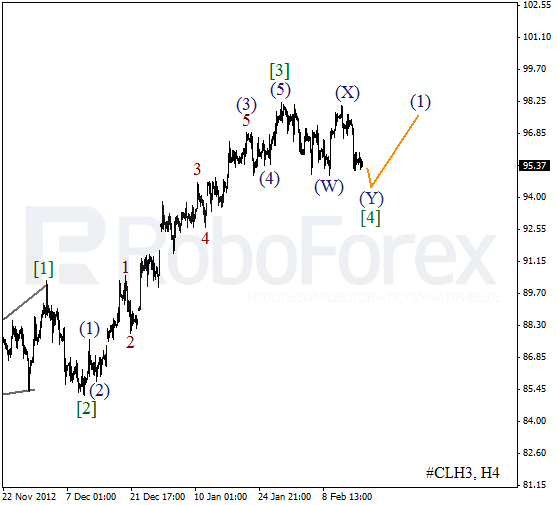 It looks like the price is still forming the fourth wave; the correction is taking the form of double three pattern. Wave (4) may be finished during the next several days and after that instrument is expected to start a new ascending movement. 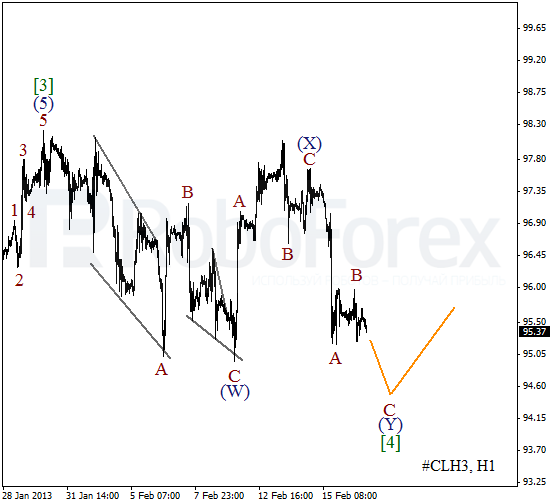 As we can see at the H1 chart, right now Oil is forming a descending zigzag pattern inside wave (Y). On the minor wave level the price is starting wave C. Most likely, the instrument will break a local maximum on Tuesday.